Dutch man, Royston Drenthe could be set for a controversial switch to Liverpool this summer. The Real Madrid winger is on loan at Everton but is prepared to cross the Merseyside divide. The Anfield are reportedly willing to match the 25-year-old’s £80,000-a-week wages to sign him on a permanent deal. 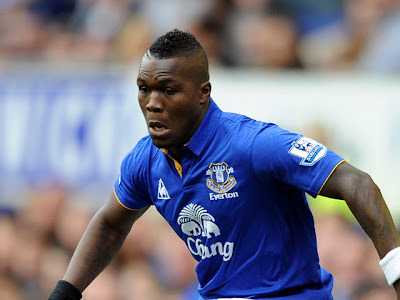 Liverpool boss Kenny Dalglish sees Drenthe as a key part of his summer rebuilding plans. The Dutch international has impressed in patches since joining the Goodison Park club last August. He has scored four goals and made seven assists for David Moyes' side but was dropped as Everton lost to Liverpool in the FA Cup semi-final on Saturday amid rumours of a breach of discipline.